Are you a sports fan? Here is the perfect craft to show your team spirit and love for sports! These magnets are easy and can be used to showcase almost any sport! To jump into the madness this month, we decided to go with these super simple basketball magnets. Easy as 1, 2, 3! It only takes 3 steps to make these magnets. Plus, there are endless options you can do in decorating these Old Orchard juice bottle caps, even if sports aren't your thing! 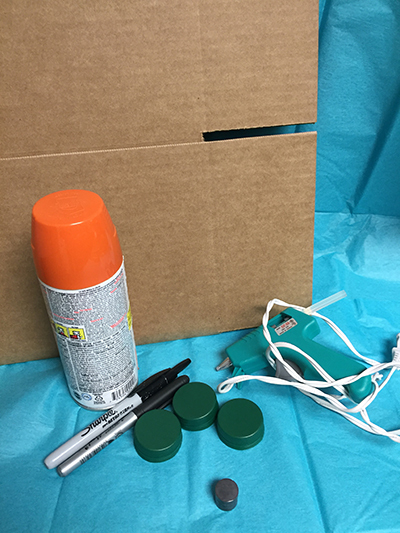 Go outside (if possible) and set up your spray paint station with an old box or paper. 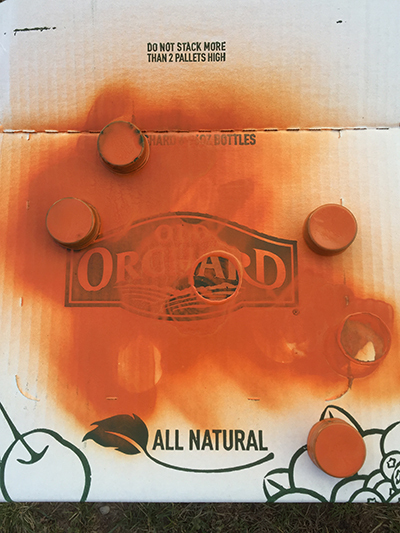 Shake the spray paint and spray the top and sides of the Old Orchard cap. 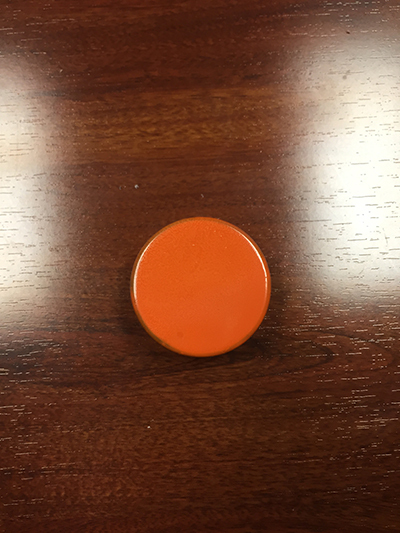 Keep in mind that it might take a few coats of paint to get full coverage over the cap. Leave the caps to dry completely before starting with the next step. 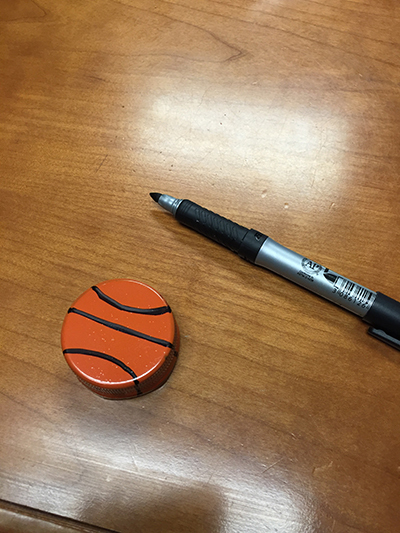 Take your black marker and draw lines on the cap to create a basketball. 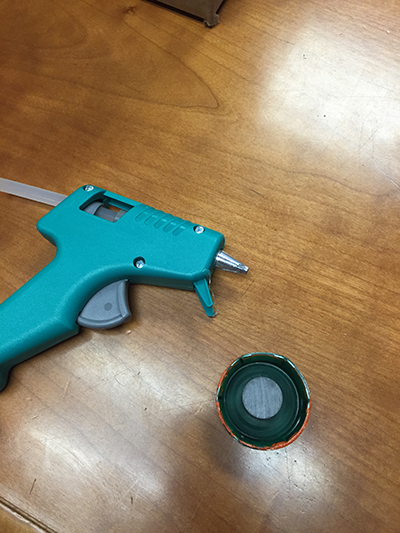 Take your magnets, we stacked a few to make it fit the depth of the cap, and use your hot glue gun to attach the magnet to the bottle cap. Hold the magnet in place for 15 seconds while the glue dries a bit. Once the magnet is dry, your magnet is free to use! 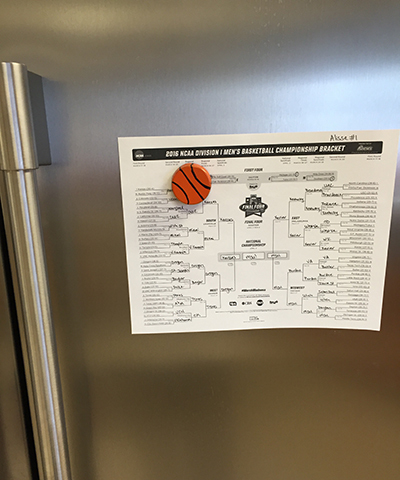 Hang up A+ papers on the fridge, grocery lists, or use it to stay up to date on how your teams are doing in the tournament! *Another idea is painting your team logo or mascot on the cap.